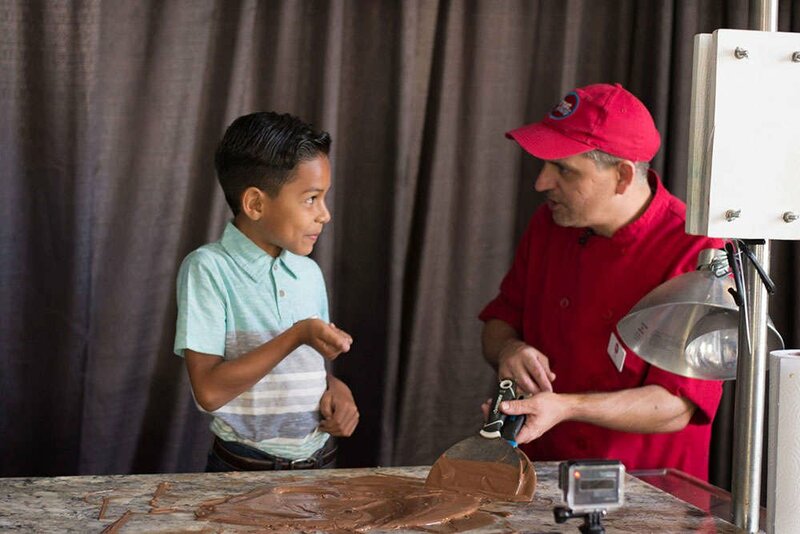 Host a kid's birthday party at The Sweetest Destination on Earth in Jacksonville, Florida! 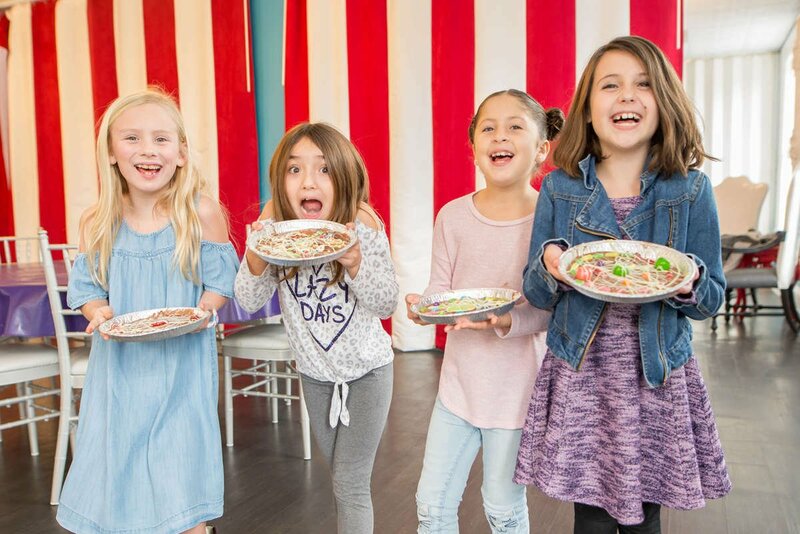 Our standard candy birthday parties are sweet, simple and recommended for ages 5 and up. All standard parties include a fun and interactive candy making experience of the birthday boy/girls choice! 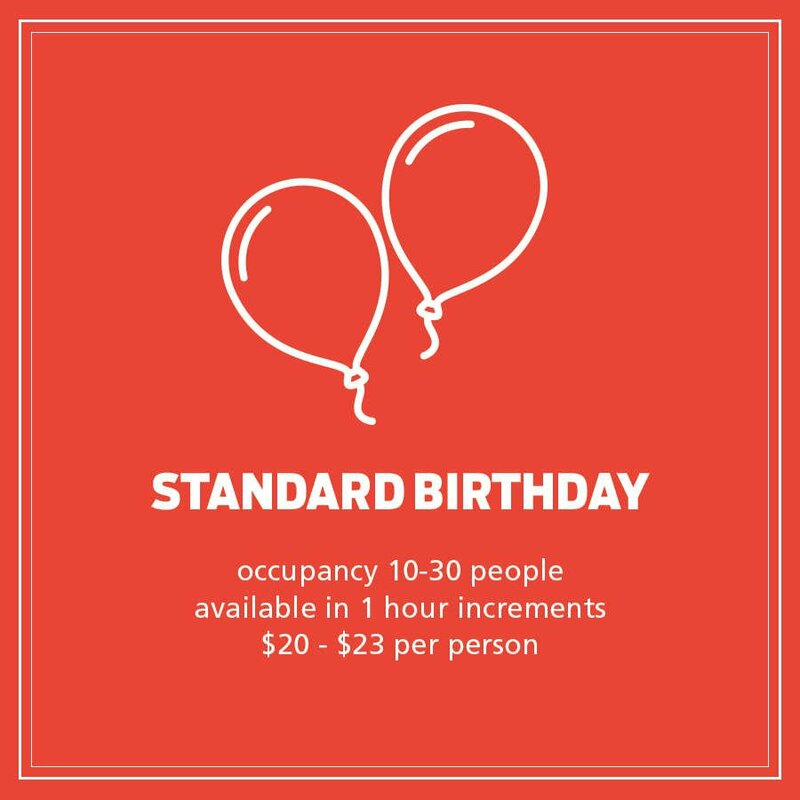 Our standard birthday party is only available in our Pete's Parlor Large Party room, which you can book from this page. 25% OFF All Weekday Birthday Parties (Tues- Friday) Does not apply to extras or food. Call or email us if you do not see the weekday time you need. There is a non-refundable deposit of $50 to reserve your date and room. This deposit will go towards the total cost due the day of the party. After we receive your deposit, a party coordinator will contact you within 48 hours to finalize the details and email you a contract. To book this package and pay your deposit, click the blue button "Book a Standard Party in Pete's Parlor Large" below. Choose the "standard birthday party" option in the drop down menu. Pick your date and time and add to cart. Proceed to check out. You will receive a registration email immediately after checking out. Please email info@sweetpetescandy.com if you do not receive the email. Due to time restrictions, outside decorations cannot be brought in for standard birthday parties. There is a $35 cake fee to bring an outside cake. You can upgrade your ice cream to an ice cream cake for $22. No other food or drinks are allowed to be brought inside. Food from the restaurant inside the building can be added when booking a deluxe or themed party. Interested in other party package options? Click here to view our deluxe and themed party options. Book girl's birthday party or a boy's birthday party at Sweet Pete's in Jacksonville, Florida!